Oral surgery can be performed or coordinated by an Endodontist specializing in root canals, a Prosthodontist specializing in broken and missing teeth, an Orthodontist in moving and straightening teeth, a Periodontist in dealing with your gums and an Oral Maxillofacial Surgeon in addressing jaw alignment. We’ll first look at some examples of those oral problems as well as some common procedures and expected outcomes. Wisdom teeth are known as the third set of molars. Often times the jaw is not large enough to allow room for these teeth and they do not erupt through the gum line becoming trapped or impacted. The extraction of wisdom teeth is considered a preventative dental measure. They usually erupt between the ages of 17 and 25. If not removed they can often cause infections, tooth migration and damage to your healthy teeth. This is a primary example why regularly scheduled dental exams are important. 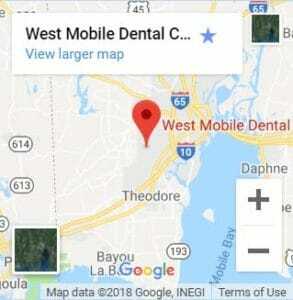 The staff at West Mobile Dental Care can monitor impacted teeth with ongoing x-rays and determine whether to address a potential issue. If you have lost a tooth from either from a tooth infection or trauma it is wise to fill that gap in a timely fashion. If elect not to replace the tooth and you leave the space not only will you be reminded of it every time you smile but your neighboring teeth will start to slowly drift into that space creating a big difference in your bite pattern. You can fill that gap with a dental bridge, or you can schedule a dental implant. An implant procedure involves an incision in your gum and a titanium post placed into your bone. Once the implant has integrated into the bone for an abutment extension will be attached and a porcelain ceramic tooth, or crown, will be placed on the abutment. This is the best way to replace a missing tooth for predictable, natural looking solution. Let’s say you have lost a tooth, and you waited a while to finally get a dental implant. Dr. Schrader at West Mobile Dental Care will suggest a dental 3D x-ray to determine the quality of the bone in the future implant site. If it is decided that you have lost some bone in the area, a bone graft will be suggested in order to provide adequate support for the post. A bone graft is simply placing a piece of bone, either from yourself, a donor, an animal bone or a synthetic material. Through minor oral surgery the graft is placed next to or on the thin jawbone and allowed to regenerate more bone. Bone grafts can also be performed to prevent bone loss after an extraction in order to preserve the site for an implant. Called a socket preservation, bone graft material is placed in the socket after the extraction. This variety of oral surgery would most often fall more into an emergency category versus a calculated procedure. Usually stemming from the result of some form of immediate trauma such as a car accident, a fall or a sports injury in which the oral surgery is required to be a little more involved. This often includes some rebuilding or restructuring of the face, teeth, nose, jaw or more. In contrast some planned procedures may also be the solution for correcting unique jaw growth, treating TMJ symptoms or to improve the fit of your dentures. Sometimes called a sinus augmentation, this is an oral surgery procedure that will add bone to your upper jaw in the areas of your back teeth, your premolars and your molars. To make room for the additional bone the sinus cavity will have to be lifted on both sides of your nose. This procedure is usually done by a specialist in maxillofacial surgery or even a periodontist in order to achieve more bone support for an implant placement. With each and every oral surgery procedure there will be an expected recovery period. If it is a tooth extraction, an impacted tooth or a wisdom tooth you will have an extraction socked that needs to be treated with care as the blood clot forms and initiates healing. Rinsing with salt water to prevent infection, avoiding using straws with beverages and no inhaling of cigarettes are just a few examples. If stitches were placed, they should come out in a week or two weeks. You may experience some bruising or swelling through the healing process. Depending on the significance of your oral surgery you may have specific instructions on what you can and cannot eat. Typically, a soft diet is recommended. An asset often overlooked, your smile defines you. It can play a huge role in your level of self-confidence and your self-esteem. A smile that impacts both your personal and professional life. 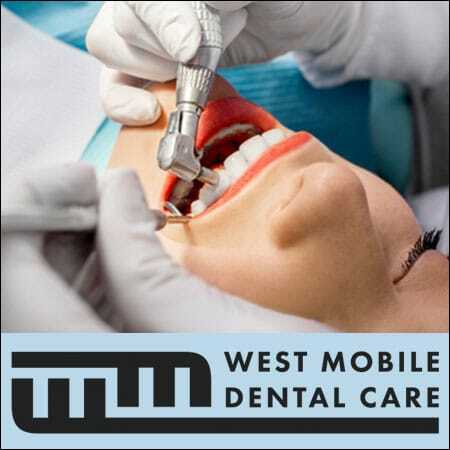 So, if you believe oral surgery is in your future have the staff at West Mobile Dental Care walk you through the process so that you are prepared from start to finish, with a shared goal in sight.